Our home care services are an excellent solution for you or your loved one for maintaining a healthy fulfilling lifestyle & loving relationships. We support people living with Alzheimer's, dementia and cognitive decline and disability, post-operative care needs and older Australians. Find out more. 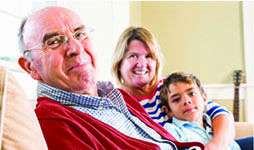 Right at Home in Australia is about providing home care services to older Australians. Alzheimer's patients - particularly those in the early and middle stages of the illness can be cared for at home and don't require nursing homes or other facilities. Right at Home Australia provides nursing care in the familiar surroundings of your own home. Right at Home Australia provide care in your own home post surgery and when transitioning from hospital or rehabilittion to home or to another facility. 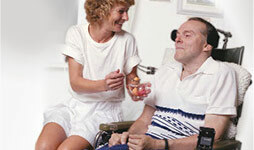 Right at Home provides home supportive care for you or your loved one living with a disability. Australia’s leading provider of quality care in your home. Right at Home understands your concerns when it comes to making decisions about providing care for you or your family. Choosing your home care provider is an important decision. We are an Approved Provider under the Aged Care Act meaning we can provide you with services under a government package. Our services include domestic support, companionship, Alzheimer's and dementia care, disability care, personal, skilled nursing and post-operative care. Our services are designed to help you or your loved one to maintain your independence and a healthy fulfilling lifestyle. Right at Home is all about you. We can provide the right home care service for your family.